White Water Rafting — Kayaking — Mountain Biking. 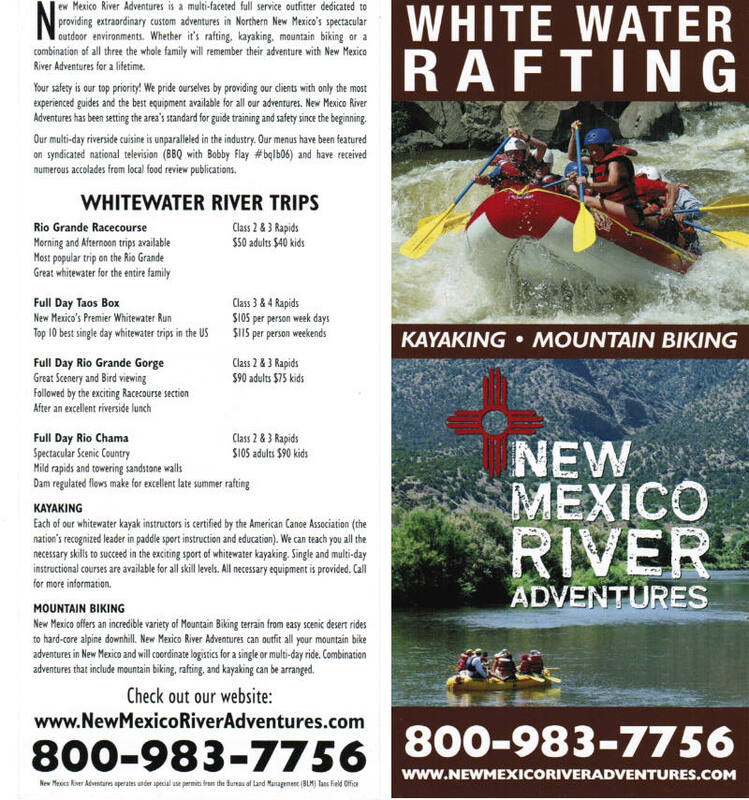 Whether you are looking for scenic raft trips, or challenging rapids, New Mexico River Adventures is your outfitter. Ask us about our combination adventures.